Catholic School system and soon after graduation in 1960, Hannings joined the United States Marine Corps Reserve and served in the Motor Pool through 1965.
graduating high school in 1983. Hannings worked in the Trucking industry in marketing and later he established an independent agency that handled cross country shipments. During 1983, Hannings was elected to local office as a conservative Republican and served eight years as a commissioner of Abington Township, Montgomery County, Pennsylvania. Hannings, read the rejection letter, concluded the publisher was wrong and decided to do it on his own by establishing a publishing company. Soon after he founded Seniram Publishing Incorporated, located in Glenside, Pennsylvania. Seniram, coincidentally is Marines spelled backwards. When asked how he came up with the name, Hannings said he recalled hearing that when you select a name, pick one that can be spelled in various ways but still sound the same and he added that he didn’t expect people to remember such a small publisher, but once they spelled it backwards, they would not forget it. lessons he learned about distribution by an unknown publisher. Hannings also discovered that without a national reputation, the road to success was difficult, if not insurmountable. Friends, both civilian and in the military suggested that Hannings should have abandoned the publishing company and consider giving up writing. However, Hannings had not yet convinced himself that he had an unwinnable situation. was insurmountable for a Marine and that Marines never quit. Hannings followed with a huge volume on World War II, composed of more than 900,000 words, which contained daily coverage of combat in all three theaters of the war. The book was a success with great reviews, however, wide distribution and recognition still remained in the distance. The thought of quitting continued to swirl around in Hannings’ head, but the idea of defeat didn’t. Hannings remained convinced that the endless line of military achievements and the innumerable amount of American heroes were being lost to obscurity. At the same time, he observed the flag being dishonored and the armed forces receiving either bad press or no press. Hannings decided to continue his work against the odds and with his instincts that it was important that the American heroes be remembered by posterity. American Revolution, which provides a biography on just under 400 men. And yet another, “Every Day of the Civil War, A Chronological Encyclopedia, composed of just under 700,000 words was published during June of 2010. Hannings, more than 25 years after the original thought, finally published what he terms his little book on the flag (The Story of the American Flag) during 2001. The book, referred to as his “military sidekick” is a diminutive soft cover book, which is packed with interesting facts on the armed forces and the flag. It includes a chronology of the armed forces, a selection of quotes and other information including flag etiquette. It also includes the Declaration of Independence and the U. S. Constitution. Hannings learned from the National Archives that his book, “Forts of the United States,” had been selected by the archives at its College Park facility and in Washington, D.C. as a reference source and he was informed that A Portrait of the Stars and Stripes and A Portrait of the Stars and Stripes, Volume II (World War II) have also been cataloged at the Archives as reference sources. In addition, the National Archives has selected the Korean War, An Exhaustive Chronology, the Chronology of the American Revolution and The Leaders of the American Revolution, Every Day of the Civil War and The French and Indian War as part of their reference collection. Hannings has been writing for nearly thirty years and his plans are to complete other works that are in progress, including the War of 1812 and the Mexican War. Hannings sometimes takes a break from the tedious business of researching and relaxes by writing children’s books, a series of short stories, in which he uses his grand children and centers the stories around the youngest, Lauren. Lauren, the little heroine tells the stories of various saints through the eyes of a child. 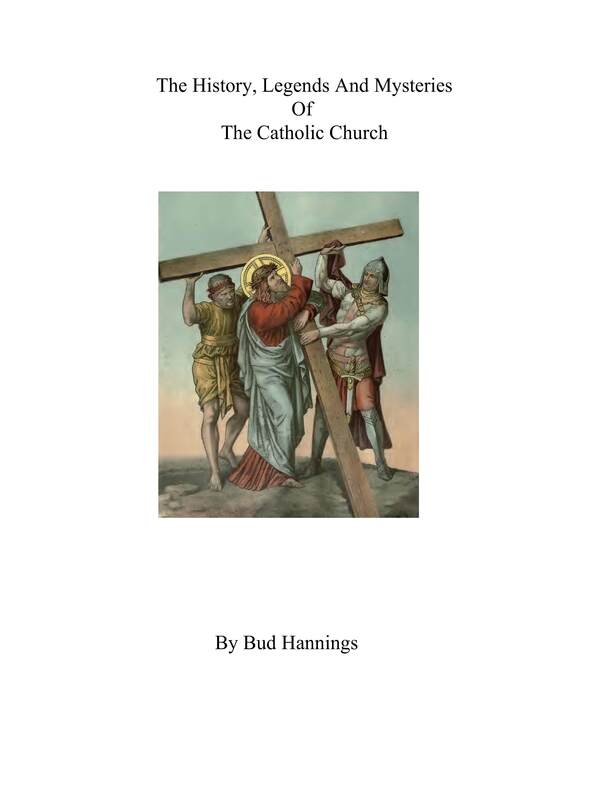 Hannings is also working on a book on the Lives of the Saints and simultaneously he is writing yet another piece on the History of the Catholic Church with emphasis on the Church’s involvement with military actions through the ages including the Crusades and the various clashes with the Moslems and the Ottoman Empire. Hannings wants to provide a glimpse into the lives of the saints with sufficient information for a student to be able to turn in a report that can scan the entire life of the saints. “Hannings has hit another home run…exhaustively researched and meticulously ocumented…superb…backs up his text with an exhaustive, detailed bibliography…an even-handed approach to history, neither slighting nor favoring individual states or the factions that are now interwoven as the fabric of our military history…a remarkable book, and one that deserves to find an audience beyond libraries…middle and high school students will gain an appreciation of their own local history by completing assignments and reports that draw upon Bud Hannings’ sources…. Buy it, read it, treasure it, and pass it down to your children and grandchildren”—Infantry Magazine. “meticulously constructed record…valuable…gives readers an intimate look at combat…recommended”—Reference Reviews. “meticulously researched…provides a wealth of information…valuable”—Against the Grain. “Informative…comprehensive and definitive…impressive…highly recommended”—The Midwest Book Review. entertaining look into the great leaders…” Leatherneck. Bud Hannings ISBN 978-0-7864-4464-9 Publication Date: June 2010. The French and Indian War (Selected by the National Archives for their reference section) Bud Hannings ISBN 978-07864-4906-4 Publication Date Spring 2011 Available Now. Combined Reviews for Portrait of the Stars and Stripes and Portrait of the Stars and Stripes II. Well done article that. I’ll make sure to use it wiesly. I simply want to mention I am just newbie to blogging and site-building and definitely loved this web-site. Likely I’m planning to bookmark your blog . You actually have terrific writings. Regards for sharing your web-site.